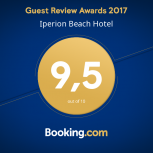 Iperion’s hotel restaurant in Rethymno is set against the backdrop of the blue sea and the golden sand. Right just next to the shore with the castle rising up on the horizon. This is where you can sit in our restaurant and sample the range of delicious dishes. Prepared by our experienced chefs using local ingredients and herbs directly from our garden. 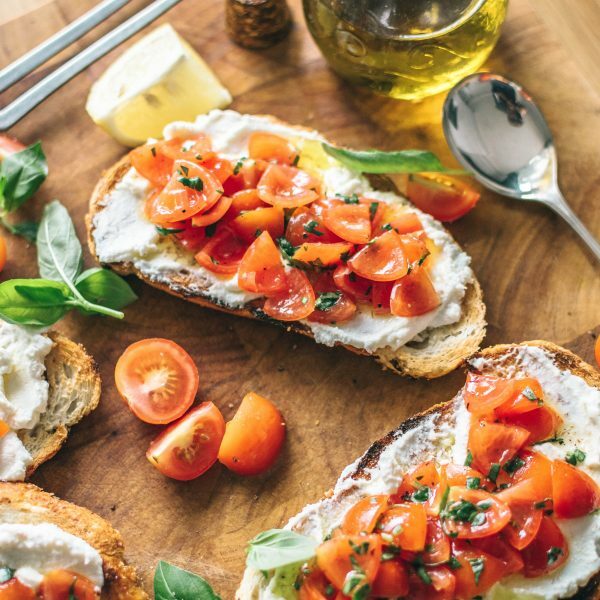 The wine list featuring everything from the Crete island to traditional wine regions of the mainland, is expansive enough to satisfy the most passionate oenophile in the company of your friends or family. A cheerful list of Greek wines from almost every part of Greece are waiting for you to choose. Even more our expert bartenders can advise you nice refreshing cocktails to begin with before dinner. 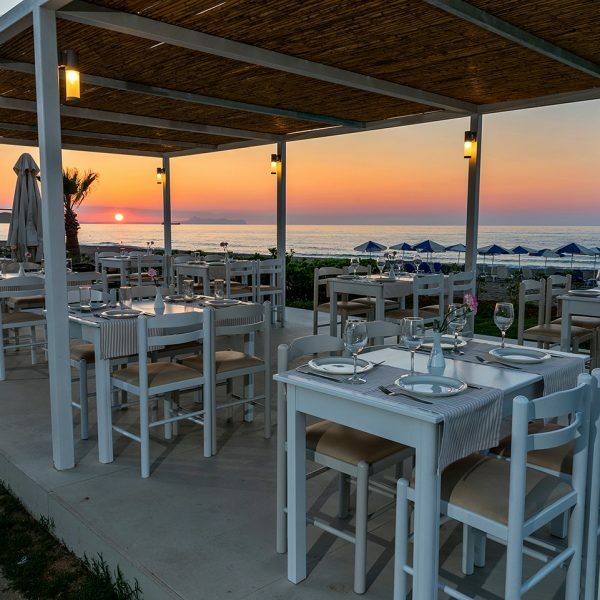 We even provide waiter service on the beach during the day time to enjoy your meals next to the blue sea. While you’re relaxing on the beach, you may choose from a variety of delicious flavor combinations. In addition, fresh juices, coffees and other top quality beverages are also an option in a sunny day. 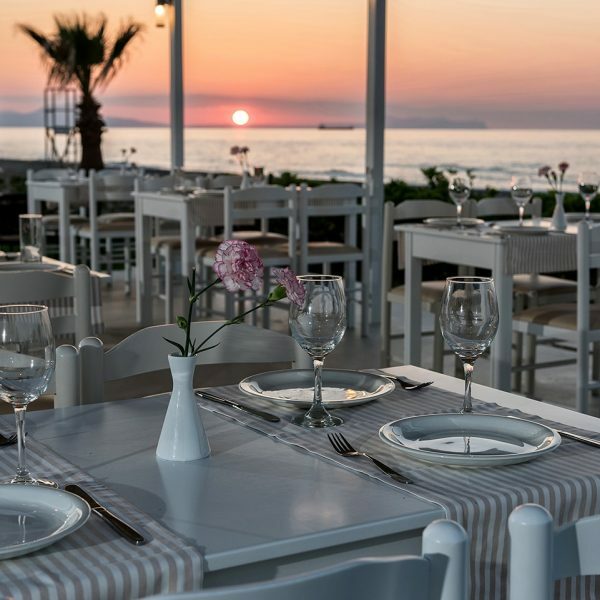 Catch yourselves escaping at a supreme ambiance at Iperion’s Hotel restaurant in Rethymno. Room service is available without any extra charge if you wish to enjoy your meal from your private balcony.